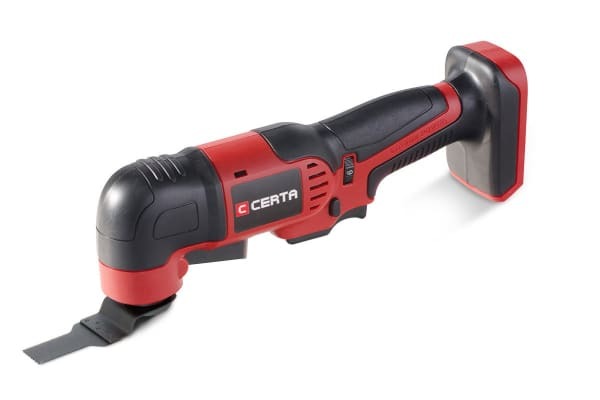 The Certa PowerPlus 18V Multi-tool Set lets you complete your DIY and other projects with a flawless finish. 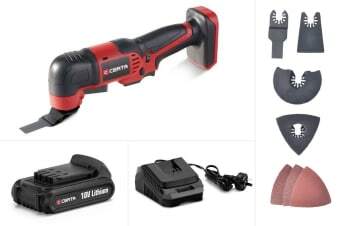 If you’re a DIY fan, you’ll love the freedom of going cordless and switching quickly and easily between versatile accessories that the Certa PowerPlus 18V Multi-tool Set offers. What’s more, it charges up super quickly and lets you complete your projects without any fuss. 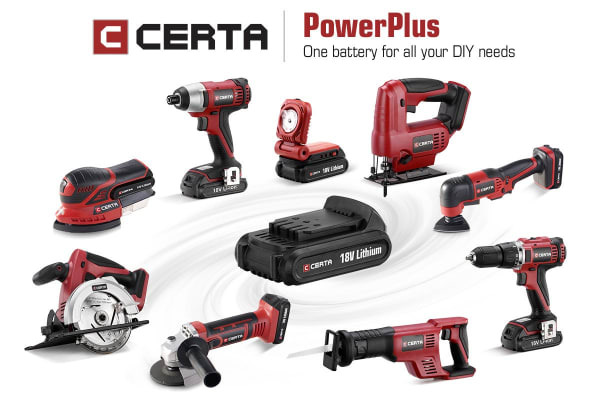 Find more Certa PowerPlus power tools here. 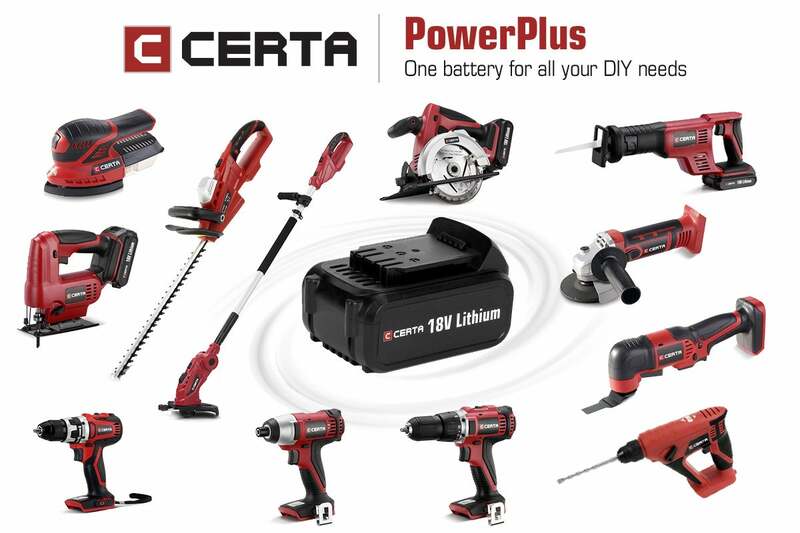 The Certa PowerPlus Lithium 18V Battery is compatible across the entire Certa PowerPlus range. Not compatible with the Certa 3 piece 18V Lithium Ion Cordless Garden Tool Set.